There she was, my Amma, with a twinkle in her eyes and as excited as a little girl of five who just found next best thing to sliced bread! “Oh, ho… Oh, no! Here comes trouble”, we all thought. “Common. Don’t sit there like some statutes. Try some and take a guess”, she cajoled. “Err… I don’t think I have any space left in my stomach, darling. Look at it, it is ready to burst at any time”, coaxed sweetly my Appa. “Oh, you still have little rice left on your plate. Try it with that”, came back the reply from Amma with good measure of fire added to it. While their parents were arguing, err, talking, the three brats tried to slip away quietly on tip toes, hoping against hope that their absence will go unnoticed by their mother!!! What were they thinking? No, seriously!!! What were they really thinking? “And you three, where you think you are sneaking off? Come back and sit in your chairs NOW”, said Amma without batting her eyelashes. And that, my friends, was my first encounter with spicy and, at the same time, seriously addictive Bottle Gourd Peel Chutney. One small lick of it and I was its slave for life! who would have thunk that what is usually called a ‘waste’ and is discarded without any thought can be used in whipping up one of the best tasting chutneys? Yes, I call this Bottle Gourd Peel Chutney a mother of all chutneys. I love the way the bottle gourd peels blend so well with the spices, tamarind and coconut to produce superb tasting chutney that goes well with almost everything! 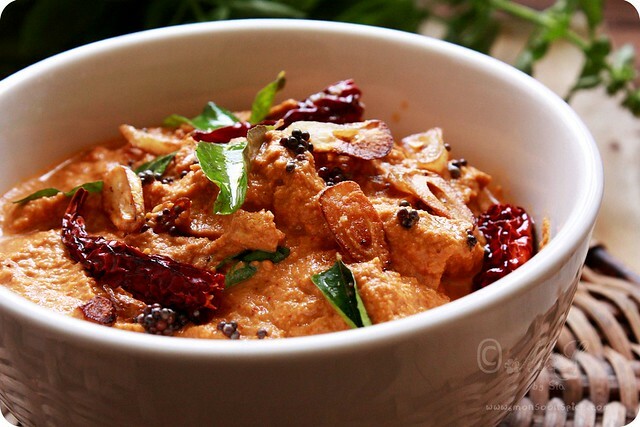 Serve it with a bowl of Ganji/Kanji (Rosematta rice porridge) topped with dollop of Ghee or along with chapatti or dosa or Idli or even as a spread for your breads, it lends its own unique tastes to every dish it touches. Cook bottle gourd peels along with tamarind pulp, jaggery and salt to taste with just enough water. It should take around 5 minutes for it to cook properly. Meanwhile, heat oil in a pan and roast all the ingredients listed under spice mix till they turn light golden in colour, about 2-3 mins, on medium to low flame. 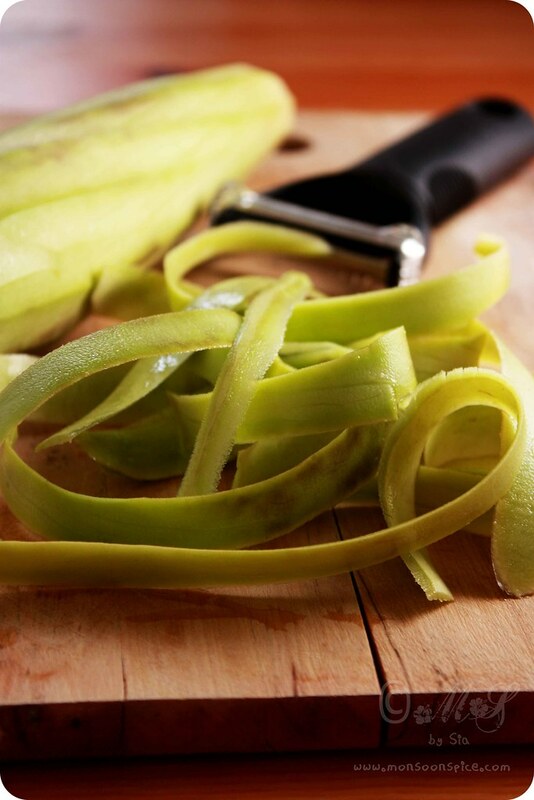 Once the bottle gourd peels are cooked, keep it away for few minutes for them to cool slightly. 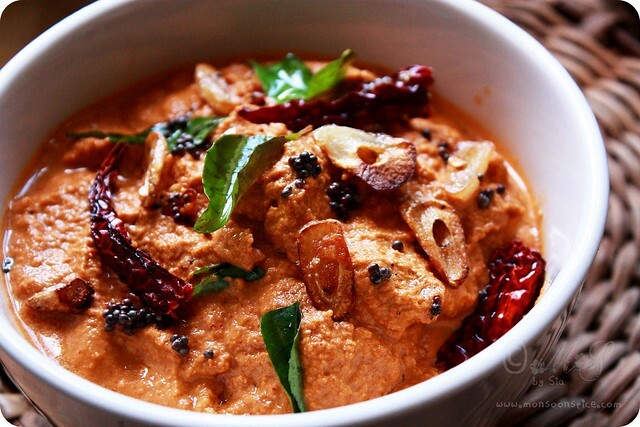 Once they are cooled transfer them to mixer grinder along with roasted spices, salt to taste and grated coconut. Grind the whole mix to smooth paste by adding little water at time. Transfer the ground paste to a bowl and adjust the seasoning. And also add little more water depending on the consistency of chutney. Next heat oil in a pan and add sliced garlic pieces to it. 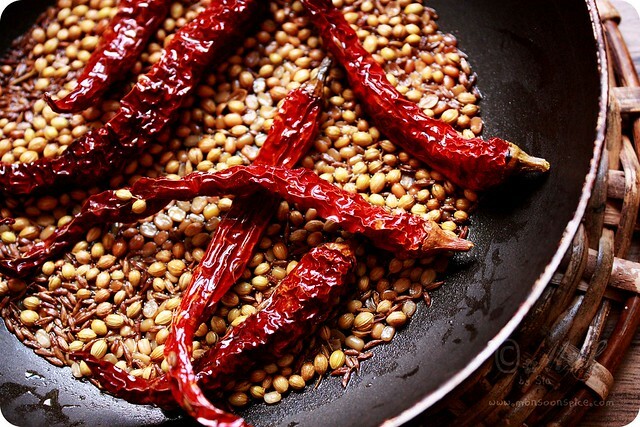 When they turn light golden, add all other tadka/tempering ingredients one by one. When mustard seeds starts to pop and crackle, transfer them to Chutney and mix them well. Serve this delicious, spicy Sorekai/Lauki/Bottle Gourd Peel Chutney with Kanji/Ganji topped with a dollop of Ghee or with just plain rice/Indian flat breads/Dosa/Idli. You can use Ridge gourd peels in place of Bottle gourd peels for another variation for this delicious chutney. That's a lovely chutney Sia. We make similar chutney from peels of ridge gourd and other gourd vegetables too. Yummy! Bottle gourd chutney looks so very good. I am not a big fan of bottle gourd but I game for this chutney anytime. Lovely chutney ! I make out of ridge gourd a bit different but about the same. I never tried bottle gourd peel chutney. My mom makes ridge gourd peel chutney. 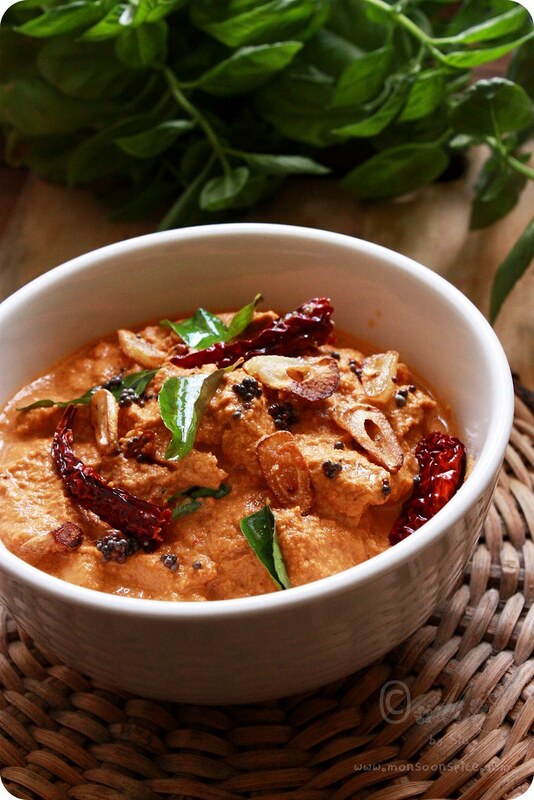 Chutney looks spicy and delicious! We make a similar one too but this looks more addictive that ours!!! Bookamarked!!! And ur version of sambharballi tambli was an instant hit!! Oh...I love this one...I make ridge gourd chutney but bottle gourd is a new addition in my treasure! Lovely color. thats a fun chutney!.. and a great use for the peel.. though i dont peel my bottlegourd.. now i can and use it for a chutney! love your methi muthiya too!! ooooooooooh love this a lot ..absolutely love love it..
What a beautiful blog! 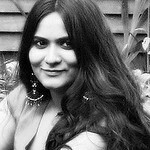 I have @sanjeetakk to thank for making our paths cross. Now I get to discover your blog. I love bottle gourd, and all these years been composting the peels! Thank you for sharing this wonderful post. 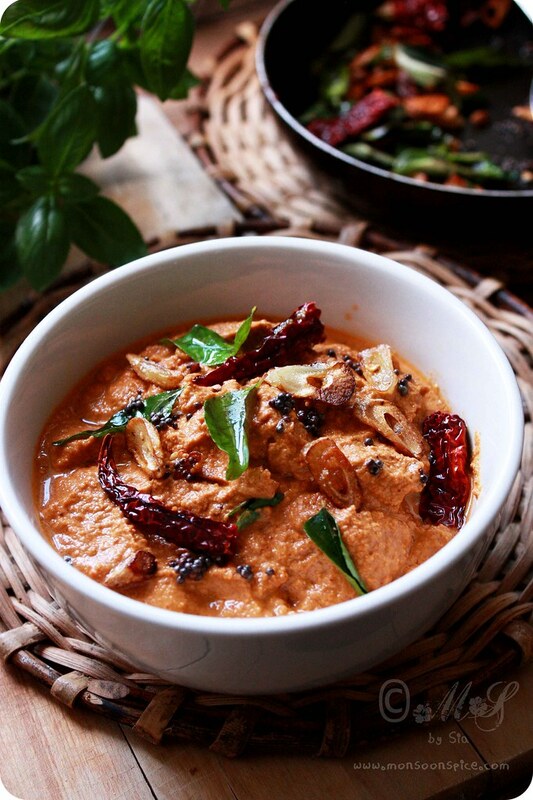 Loved the story behind the chutney, and the bowl looks spice-packed and gorgeous! Very tempting chutney and healthy too...luks gr8!!! This is my all time favorite chutney to go with dosa or idly. PS: The news about the riots are flashing all over US.How are things at your place? Hope you are safe and sound. Prathima, I am glad to kw u enjoyed Sambrani ambli. Its my fav too. pity that we don't get doddapatre leaves here. I'm planning to get a small plant next tine when I visit India. Vijitha,thanks dear for ur concern! we r all fine. but yeah, the riots and looting is spreading like wild fire to other parts of UK! I just pray and hope that it all comes to an end soon!!! Thanks for dropping by.I habe never made a chutney with bottle gourd peel, I only make curry with it..Thanks for the wonderful recipe! Thats really something unique, never heard or tried peel chutneys..but it looks so good and yummy that I would love to try it. Sukanaya, i will surely check ur blog event. thanks for letting me kw. This is excellent and absolutely new to me. Who ever thought you could even utilize the peel!! I have to tweet this :) And thanks for dropping by, glad I could find your blog ! Loved your opening for the recipe--lovely memories! This sounds like a wonderful recipe, especially after reading your prologue..:) You write so well! Wow! I love this chutney, pictures are really beautiful. I too love this chutney and try not to waste my bottle gourd peel, beautiful color and presentation !! !